Privacy & Security are our PRIORITY! Starts at $0.04 & UP per page B/W & Color - Try us before committing - Restriction Apply! Ask us how we do it by simply giving us a call. It is the process of document destruction and document recycling for security purposes, recycle and reuse it to make new paper sheets( recycle paper sheets). Nowadays it is very important to protect your personal identity and your business information in order to avoid, fraud, identity theft and of course one of the most important ones, help our environment. Any small business, and most certainly a home office environment, is going to know the crunch of space within the office. With employees, office machines, and file cabinets and furniture, space can be at a costly premium. There is a solution that has been gaining popularity in the last few years. Document scanning has helped many businesses, large or small, in freeing up office space for use in productivity or meeting with clients. As popular as scanning documents into digital form has become there are still those that ask "Why?" Paperless document services Los Angeles can help us recycle and save millions of trees every year, nowadays, many industry sectors are going paperless to protect their files in case of disaster or save on paper and storage space. Paperless document services can be a solution for any business in the world not only certain industrial sectors; the business sectors that use most this services are Medical offices, Law offices, Insurance companies, Real estate offices, and much more. 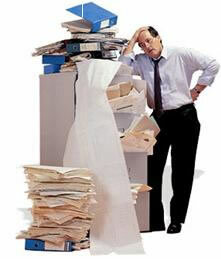 Access Document Scanning Services can help any business or person with their paper needs. You just landed at Access Scanning! FREE pick up, 16GB Flash drive & lower prices on projects bigger than $500 for new customers.